Did you know there’s proof that beauty treatments can help you feel happier? Many people feel better when they know that they look their best, but beyond anecdotal evidence, scientific research has demonstrated that treatments such as BOTOX® Cosmetic (a neuromodulator) can reduce depression. 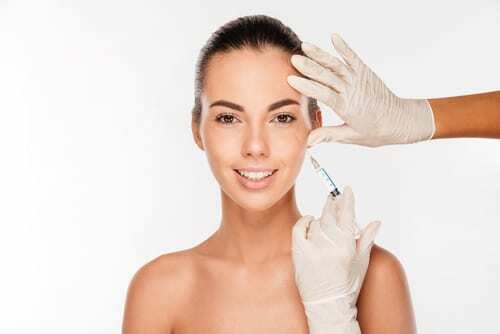 Neuromodulators and soft tissue fillers are non-surgical facial injectable treatments that can help you look more youthful, attractive, and happy. BOTOX® Cosmetic and Dysport® work by weakening the facial muscles that create expression lines. This helps your face to relax into a more relaxed, affable, and approachable expression. You will still be able to make sad or angry expressions, but after treatment with BOTOX® Cosmetic or Dysport®, it’s easier to put on a bright and welcoming smile. Soft tissue fillers can also minimize facial wrinkles and improve facial fullness. Fillers such as Restylane-L®, Restylane® Lyft, JUVÉDERM® XC, RADIESSE®, and Sculptra® Aesthetic are all offered here at our facility. The injection of soft tissue fillers can fill in volume loss and eliminate wrinkles so that your face appears softer, younger, and more attractive. Fillers can also enhance the size of the lips so that your smile is more inviting. These neuromodulators and soft tissue fillers are non-surgical treatments that can reduce the signs of aging. After a single treatment session and no downtime, immediately visible results will reveal a more comfortable and rejuvenated appearance. With regular treatments, you can maintain a more pleasant and appealing look with fewer wrinkles, younger-looking skin, and a beautifully confident smile. Dr. Matthew Conrad offers surgical and non-surgical plastic surgery treatments at his practice for patients all over Wichita and Kansas. His staff of skilled, artistic, and compassionate nurses has been administering non-surgical facial injectable treatments to patients for over 14 years with excellent results. To schedule your personal consultation, call 316-681-2227 or complete our online contact form today.